Question: Please, is a false witness statements under OATH in the court a Criminal act in Scotland UK ? If YES > what is the punishment for wrong testimony under oath ??? Answer by Professor Robert Black QC, FRSA, FRSE, FFCS, ILTM is Professor Emeritus of Scots Law at the University of Edinburgh. He has been an Advocate in Scotland since 1972, was in practice at the Bar and became a QC in 1987. Yes, if the witness knew that his statement was false or had no genuine belief in its truth. It's the common law crime of perjury. The sentence is at the discretion of the convicting court and can be anything up to and including life imprisonment. Thank you very much Professor Robert Black. 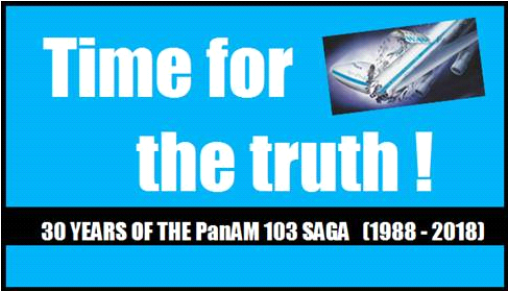 With respect to the families of the PanAm103 victims: We all have a common goal - we all want to know the truth - the real truth about the Lockerbie tragedy. 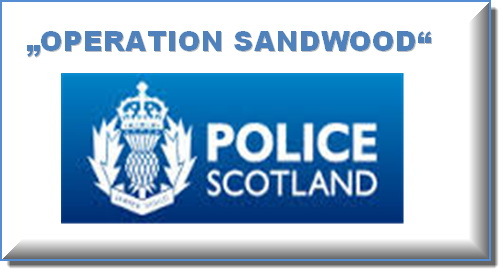 Since 4 years the "Operation Sandwood" by the Scottish Police investigated the case. Without doubt they know by now what really happened. Scotland Police communicated several times during the past two years that the report is in its final stage. Unfortunately the delivering of this crucial report is still delayed for unknown reasons. The Justice committee of the Scottish Parliament did request an explanation. They SCCRC accepted the appeal by the Megrahi family for a full review. If the examination by the SCCRC comes to the conclusion that a miscarriage of justice occurred, they will forward the case to the Scottish Appeal Court. Since several years 'MEBO' is on a fact finding mission and can prove that the verdict of the court at Camp Zeist was to a great extend based on false evidence, manipulations and lies by Officials and so-called Forensic experts. 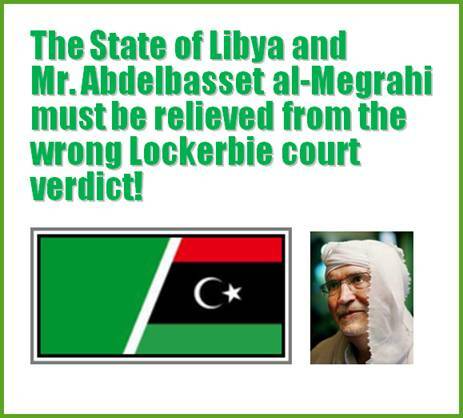 After the verdict of the court new unknown facts and secret documents emerged and they are leading to the conclusion that Mr. Abdelbaset Al-Megrahi and Libya have nothing to do with the tragedy over Lockerbie. It might be difficult for you - the families of the victims - to doubt the still valid verdict of the court, but in the past 30 years to many questions remain unanswered. In order to find the truth, we suggest that you request that Scottish Police is delivering the crucial report by "Operation Sandwood" without further delays. We are convinced that it is in the interest of all, to know the true facts of this sad moment in history. It is understandable that you look back into the past but also look ahead for a new chapter in the search for the real truth in the "Lockerbie case". It was officially announced that the Libyan Elections will be held on December 10th, 2018. After 30 years of the "Lockerbie Saga", the State of Libya and Mr. Abdelbasset Al-Megrahi must be finally relieved from the wrong Scottish Court verdict, as they are not responsible for the tragedy 'Lockerbie-PanAm 103'. Prologue of the criminal lawsuit document (in preparation) against the US state employee ex FBI expert James, Thomas Thurman. This confirm us (2009) the former FBI Special Agent Richard Marquise, led the U.S. Task Force which included the FBI, Department of Justice AD the CIA in the "Lockerbie Affair" -- in the documentary film "Lockerbie Revisited". Please watch now the full documentary film, or the special sequences, "Lockerbie Revisited" by film director Gideon Levy, shown to Scottish members of Parliament about important facts concerning the conspiracy against the ex Libya Regime (now NTC of Libya). The significant dialogues between FBI special agent Richard Marquise and FBI expert Tom Thurman, with author Gideon Levy - in the documentary film "Lockerbie Revisited" - are supplementing, with commentary statement by ex FBI agent *Dr. Fred Whitehurst (ex chief of Thurman) on a lawsuit against the FBI state employee Tom Thurman, to provide supportive assistance. Your Excellency, Prime Minister Theresa May, please remember the biggest Terror attack over England on the flight PanAm-103, over Lockerbie, on 21 December 1988, with 270 victims. A new appeal was filed by Attorney Aamar Anwar, at the Scottish Criminal Cases Review Commission (SCCRC). They accepted it for a full review "of Abdelbaset al-Megrahi's conviction", to decide whether a fresh appeal can be opened by the Review Court. We kindly are asking you to have a close look into the case before the 30 anniversary, in order to find the truth in the 'Lockerbie Affair'. For years, the Scottish Police, has been working under the "Operation SANDWOOD", on a criminal investigation against official officials, which according to the current state of the 'MEBO investigation in Switzerland', based on official documents, obviously by evidence fraud, a Libyan officials, Abdelbaset al Megrahi and the state of Libya, incorrectly where accused of being responsible for the attack on PanAm-103. Libyan government paid $ 2.7 billion in compensation to the families of the victims. The son of Gaddafi, Saif El Islam, confirmed at that time: The payment has not come from the government. It has been made by a number of Libyan businessmen who wanted an end to sanctions imposed by the United Nation and the United States. He said also: The Scottish trial was far from fair and proper. I believe that the man who was sentenced to life imprisonment is innocent. UN observer Professor Köchler came in his report to the same conclusion. Unfortunately - even after 30 years of the tragedy the false verdict is still valid today. After 28 years, another important case - the football disaster in Hillsborough (96 dead and 766 people injured) was successfully reviewed. 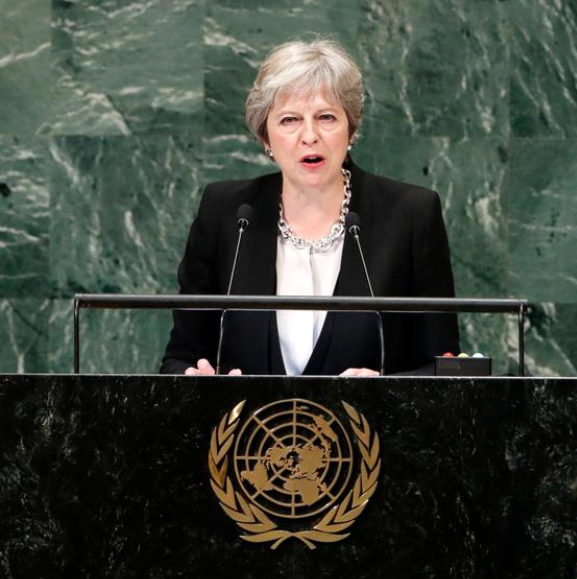 You - Theresa May played an important role that true facts finally where made public . The police officers Donald Denton and Alan Foster, as well as the lawyer Peter Metcalf, are accused of having hindered the processing of the catastrophe. In addition, Graham Mackrell must be in court for disregard of the applicable regulations. The results of the investigations of the “Operation Sandwood” by Scottish Police could lead to a similar situation as the Hillsborough case. The "Scripal case" is under heavy investigations because one person died... In Lockerbie 270 people died and it deserves urgently another serious review in order to find the truth. 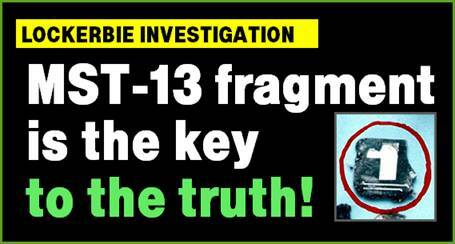 You need to watch this eye opening video clip about the MST-13 fragment and please read also the “psychoanalytic” comments by Edwin Bollier/Mebo Ltd. You will notice the striking and irritated reactions and movements of the two leading officials during the interview. It is an excerpt of the award-winning film documentary “Lockerbie Revisited”from Gideon Levy. Based on intensive research, it can be assumed that both officials knew that at least two (2) pieces of different, manipulated 'circuit boards' (fragments) of MST13 timer were used in the criminal 'Lockerbie Affair'. FBI Special Agent Richard Marquise led the U.S. Task Force which included the FBI, Department of Justice AD the CIA. Scottish Detective Chief Superintendent Stuart Henderson was SIO at the Lockerbie investigation in Scotland. 1) "Has the MST13 Timer circuit board been brought to USA"? 2) A convincing spontaneous response from Mr. Marquise ended with the statement: "The circuit board was in the United States". 3) DI chief Stuart Henderson, who was standing beside of Mr. Marquise interrupted with a caustic tone: "The circuit board was never in the United States"! 5) Gideon Levy, opposed to Mr. Marquise by saying: "Forensic expert Tom Thurman, has confirmed to me (in a filmed interview) that the circuit board was in the US". Reply by Marquise, "No, no the circuit board never came to the USA". 6) Now SIO Stuart Henderson interfered again in the tangled situation and supported the statement "that the circuit Board was never in the USA... at all"! They brought another fragment but defenetly not the original as found at the 'RARDE' laboratory in UK. Remember: the original fragment is the one on the photo with a red circle. Both officials, Marquise & Henderson, knew at this time that wilfully another fragment (not the original), a so-called control sample of a MST13 circuit board, (DP/347/b) was brought by Scottish officials, led by SIO Stuart Henderson, at the beginning of June 1990, to the FBI laboratory in the USA. 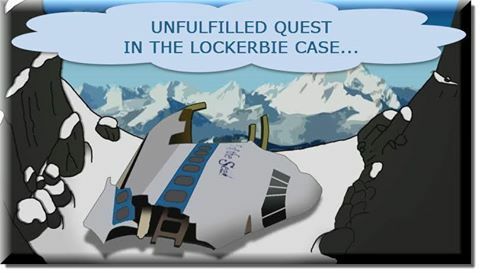 A report by the FBI laboratory writes that they assumed that the fragment was the one found in the Lockerbie area and discovered at the 'RARDE' Laboratory. That was untrue. They forensically compared a control sample circuit board with a "Libyan MST13 timer", owned by CIA, since 1986, known as Togo timer (K'1). Because the control sample circuit board (PT35/b = DP/347/b) was the same type as the MST13 timer delivered to Libya, it was positively identical with the Togo-timer (K-1) ! It finally was used to blame Libya and Abdelbaset al Megrahi. There was enough circuit board material (delivered by MEBO to the authorities) to make a control sample fitting the original MST-13 timer. If they would have compared the original fragment the result would have been negative, as the fragment derived from a non-functional prototype timer - never delivered to Libya. Why the two leading Investigation officials, FBI Special Agent Marquise and SIO boss Start Henderson (Scottish Police) lied that - the original MST13 Circuit Board fragment, discovered by RARDE in a slalom shirt - was never brought to the US? They did not mentionned the fact, that at the time, a MEBO Replica fragment (control sample) was brought to the USA for forensic comparison with the Togo Timer (K'1). Also Mr. Thurman pretended in a filmed statement that the real piece of evidence was brought over and compared 1:1 with the Togo Timer (K’1).This was not the case. Based on the – for a long time kept secret FBI report – the comparison was made with a “control sample” and not with the “original MST-13 fragment” discovered in Scotland. Another crucial evidence is the fact that the original fragment was cut by Siemens in Germany on 27 April 1990, into two parts, well before the comparison in the USA. The statement by the FBI describes a one piece fragment and never a two piece fragment. It astonishes that there is no reference to a forensic test for explosive residues. Important: the original fragment was also never tested of explosive residues although it was part of a bomb explosion. What an omission! The secret report of the FBI report was only recently declassified. Only by this report it was possible to find out that they compared the wrong fragment. Unfortunately it led to the indictment against Libya and their officials. Thanks to the FBI Report No. 262-23 (1990), it is proven that only a “control sample” (not the original fragment) was compared with the Togo Timer (K-1) and this manipulation cleared the way for the indictment and later it was used as part of the evidence at the court in Zeist. It is time that the review of the case will restore justice as soon as possible. 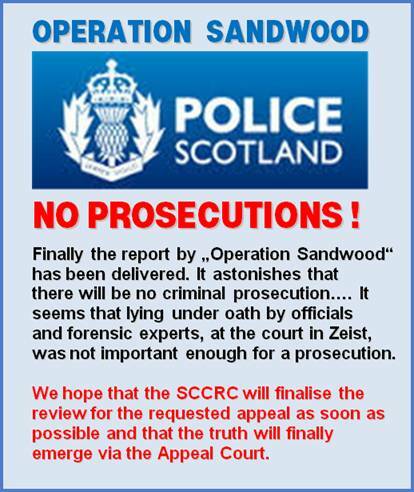 It is expected that the findings of the “Operation Sandwood” by Scottish Police will help to find the truth and reveal the severe manipulations which occurred in this dramatic case. Please note the striking, irritated reactions and movements of both official officials, during the survey in the documentary excerpt 'Lockerbie Revisited'. We all have a common goal – we all want to know the truth – the real truth about the Lockerbie tragedy. 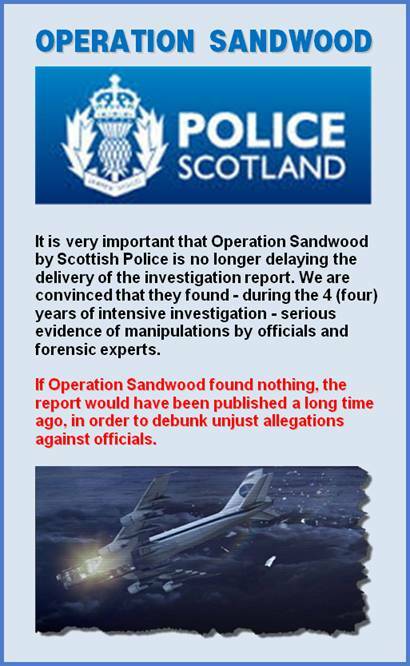 Since 4 years the “Operation Sandwood” by the Scottish Police investigated the case. Without doubt they know by now what really happened. Scotland Police communicated several times during the past two years that the report is in its final stage. Unfortunately the delivering of this crucial report is still delayed for unknown reasons. The Justice committee of the Scottish Parliament did request an explanation. The SCCRC commission found six reasons of a possible miscarriage of justice. Since several years Mebo is on a fact finding mission and can prove that the verdict of the court at Camp Zeist was to a great extend based on false evidence, manipulations and lies by Officials and so-called Forensic experts. 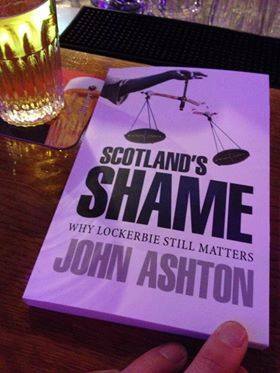 "The Lockerbie trial is the most disgraceful miscarriage of justice in Scotland for 100 years. Every lawyer who has read the judgment says 'this is nonsense'. It is nonsense." "Professor Hans Köchler, UN court observer described in his report "the Lockerbie process of the Scottish trial as inconsistent and politically motivated." After the verdict of the court new unknown facts and secret documents emerged and they are leading to the conclusion that Mr. Abdelbaset Al-Megrahi and Libya have nothing to do with the tragedy over Lockerbie. It might be difficult for you - the families of the victims - to doubt the still valid verdict of the court but in the past 30 years to many questions remain unanswered. 1.) 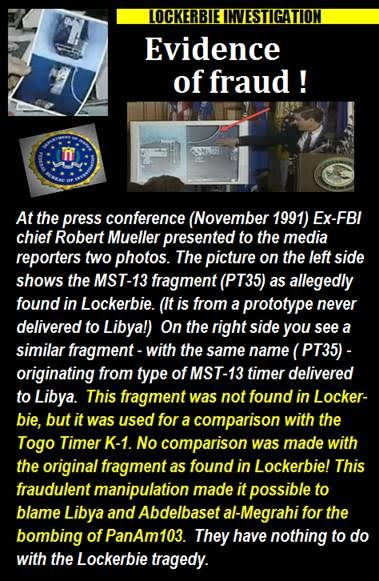 Subject, pictures MST13 timer, on top: These two different manipulated MST13 timer fragments are the basis of the whole "Lockerbie Affair" in order to harm Libya, Abdelbaset Al Megrahi and Edwin Bollier/MEBO Ltd.
For about four years the Scottish Police is investigating. It still has not delivered the report of the "Operation Sandwood". Astonishingly they made no use of the offer, to interrogate Edwin Bollier, owner of MEBO Ltd and Engineer Ulrich Lumpert. New evidence of fraud occurred and only became known lately. They did not seem interested in following up new facts around the MST-13 Timer. A further delay in the delivery of the important "Operation Sandwood" report would be a real shame! 2.) Subject: The wrong date of December 7th, 1988 about buying the clothes, allegedly by Abdelbaset Al Megrahi, at Shopkeeper Tony Gauci (Boutique Mary's house) in Malta. The correct date is Wednesday, November 23rd, 1988, proves itself, because Tony Gauci, had sold two pieces of the last pyjamas from his stock, on November 23rd, 1988 to an Unknown Buyer. On the following day, on November 24th, 1988, Gauci ordered from his supplier, by telephone 8 pairs of same pyjamas, which were delivered on November 25th, 1988. Delivery note/invoice available. (Testimony under oath by Tony Gauci). It is proven by Police reports that Abdelbasset Al Megrahi was not in Malta on November 23rd, 1988, so he was definitely not the clothes buyer! 3.) Concerning the introduction of a Samsonite case with Explosives 'IED', on a plane of AirMalta, to Frankfurt in Germany; it is not a topic for discussion, as there is no evidence. Abdelbaset Al Megrahi and Libya, have nothing to do with the bombing of the PanAm103. 2 piece EMTEC Chip, with information, with text, sound, pictures and video material. 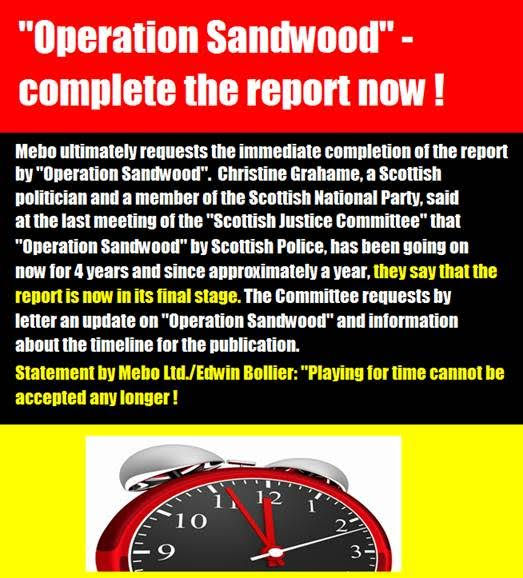 MEBO ultimately requests the immediate completion of the report by „Operation Sandwood“ from Scottish Police! Christine Grahame, a Scottish politician and a member of the Scottish National Party said, at the last meeting of the “Scottish Justice Committee”, that “Operation Sandwood” by Scottish Police has been going on now for 4 years. Since approximately a year, they say that the report is in its final stage. The Committee requests by letter, an update on “Operation Sandwood” and information about the timeline for the publication. For many years now, Mebo Ltd. Edwin Bollier, is on a fact finding mission and has informed Operation Sandwood about important findings and the miscarriage of justice by officials and forensic experts. They had received crucial documents and a list of important investigation targets, including evidence of false testimonies under oath in the Lockerbie trial at the court in Kamp Zeist! Some officials and experts will be in serious trouble, if confronted by Operation Sandwood with most of the evidence material. We surmise that in the past 4 years Scotland Police have collected massive evidence, in order to prove, that miscarriages of justice and manipulations occurred. Mr. Abdelbaset al-Megrahi was innocent in prison and Libya as well as Mebo suffered from substantial financial losses and extensive reputation damage. The SCCRC confirmed a full review of the appeal application by the Megrahi family. It is imperative that they have access, as soon as possible, to the findings of “Operation Sandwood”. Was it politically, due to the dramatic circumstances, too delicate, to deliver the report up to now? There was more than enough time, for an intensive investigation. We are now expecting a clear statement from the Scottish Police, about the date of the delivery, for this important report. Over the years Mebo has experienced numerous deliberate time delays, in court cases and crucial questions to authorities are still “pending”. My stay in Switzerland was a very positive experience and I return home to Libya, with a good feeling and many pleasant memories. I am very grateful to Mahnaz & Edwin Bollier and assistants of MEBO Ltd Telecommunication to organize my stay in Switzerland and I felt very welcomed in their family. They made it possible for me to prepare all the necessary steps to apply for a new appeal in Scotland and in order to restore justice for my father Abdulbasset Al-Megrahi and Libya. I will never forget the moment when our family lawyer Aamer Anwar and Dr. Jim Swire came over to Zurich to meet my mother and I at the MEBO office. We signed and notarized all the required documents for the new appeal. The result of it is, that the SCCRC accepted the application for a full review. I trust the Scottish Criminal Cases Review Commission and judiciary and that the truth will prevail. My family needs me in Libya and therefore I returned to my home country. My special thanks to the Swiss authorities for their support and in granting me a permit, to stay in Switzerland. 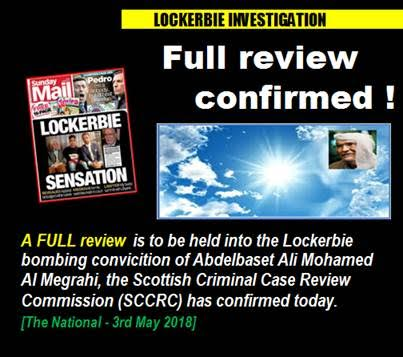 The Scottish Criminal Cases Review Commission announced today that it has agreed to accept the current application in the case of Abdelbaset Ali Mohmed Al Megrahi to proceed to stage 2 of its process, and will now conduct a full review of his conviction for the Lockerbie bombing in order to decide whether it would be ap...propriate to refer the matter for a fresh appeal. Gerard Sinclair, chief executive of the SCCRC, said: “In any application where an applicant has previously chosen to abandon an appeal against conviction the commission will, at the first stage of its process, look carefully at the reasons why the appeal was abandoned and consider whether it is in the interests of justice to allow a further review of the conviction. “The commission has now investigated this particular matter and interviewed the key personnel who were involved in the process at the time the previous appeal was abandoned in 2009. “The commission has also sought access to the relevant materials and has recovered the vast majority of these, including the defence papers which were not provided during its previous review. “Having considered all the available evidence, the commission believes that Mr Megrahi, in abandoning his appeal, did so as he held a genuine and reasonable belief that such a course of action would result in him being able to return home to Libya, at a time when he was suffering from terminal cancer. I yesterday appeared at Parliament’s Justice Committee to press for progress on Police Scotland’s Operation Sandwood Enquiry which is investigating possible police criminality in the enquiry into the bombing of Pan Am Flight 103 over Lockerbie in 1988. The atrocity claimed 270 lives and resulted in the conviction in 2001 of Abdelbasset Al-Megrahi, however this conviction has been a source of deep controversy with many campaign groups, legal experts and some families of victims believing it to be unsafe and the result of possible corruption. Operation Sandwood was set up in February 2014 with the Justice Committee told in March 2016 by Deputy Chief Constable Iain Livingstone it was in its “final Stage” however no further indication has been given that it is near a conclusion. The ongoing nature of the enquiry poses an obstacle to the family of the late Al-Megrahi as the application to the Scottish Criminal Cases Review Commission (SCCRC) likely cannot progress until it is concluded. The SCCRC is a public body which exists to investigate possible miscarriages of justice and an application to them could result in the case being referred for a new trial. I have a longstanding interest in this matter and I do believe the case as to whether Megrahi was rightly convicted or not needs to be concluded. The process for this is for the SCCRC to consider the application by Al-Megrahi’s family to have his conviction appealed and for that to happen Operation Sandwood must conclude and report to the Crown Office. Indeed whilst Al-Megrahi was alive he made applications himself wherein the SCCRC concluded there were grounds to believe a miscarriage of justice had occurred, however he abandoned his second application in exchange for compassionate release to Libya whilst he was terminally ill. The grounds for that second referral have never been heard. Operation Sandwood has had 4 years to reach a conclusion and we have been told for the past 2 years that it is in its “final stage” with no indication of any progress or likely end date. This cannot be allowed to go on indefinitely –nearly 30 years have now passed since this atrocity and we find ourselves in the position where there are victims’ families who may die without knowing the truth about Lockerbie, whatever it turns out to be. The Justice Committee is not a court of appeal but what it can do is keep pressure up on the agencies involved to ensure one way or another we can finally draw a line under this matter. The committee is answerable to the public and it deserves to be told more. I suggested that the committee write to formally ask Police Scotland to provide detail of the number of officer hours being spent on Operation Sandwood since 2016 and for an expected end date. I also asked it to write to the SCCRC to ask if it has proceeded to Stage 2 of its process and if not why not -in particular if the report on Operation Sandwood and its referral thereafter to the Crown Office is delaying matters. I’m pleased that the committee have agreed to do so and I look forward to seeing the responses. You can view the video of the committee below. Ms Christiine GRAHAME, MSP, member of the Scottish Parliament. 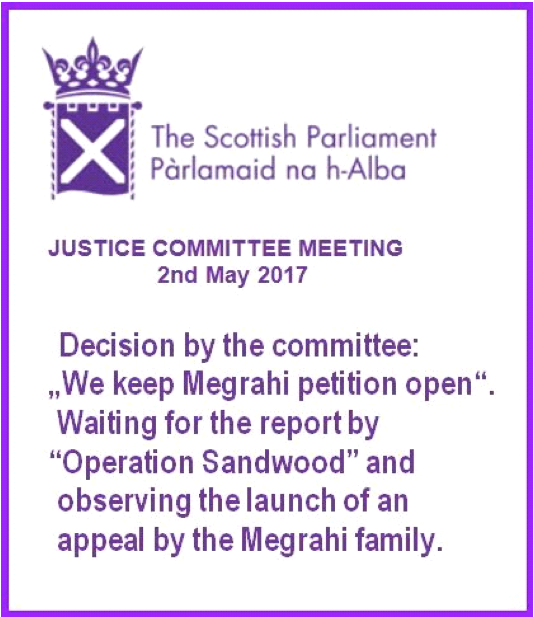 Thank you for your commitment to the justice for Megrahi's petition (PE1370) in the Scottish Parliament's justice committee on Tuesday 27 March 2018. It is really high time that the evidence fraud in the case of Lockerbie/PanAm 103, by Operation Sandwood, will be enlightened. The sadly deceased Mr Abdelbaset al-Megrahi and Libya, have nothing to do with the "Lockerbie Tragedy"! MST-13 fragment is the key to the truth! Lockerbie > A wrong comparison led to the unjust accusation of Libya! The judgment of the Scottish Justice 2000/01, on the "Bombing Exposé PanAm 103", was a politically motivated vanguard against the then current Gaddafi regime and is based on a sea of lies ! A false discovery date of the original fragment (PT35) at the court in Zeist! Important facts, among others, from the US court record and an FBI report, were ignored in the "Lockerbie Process". 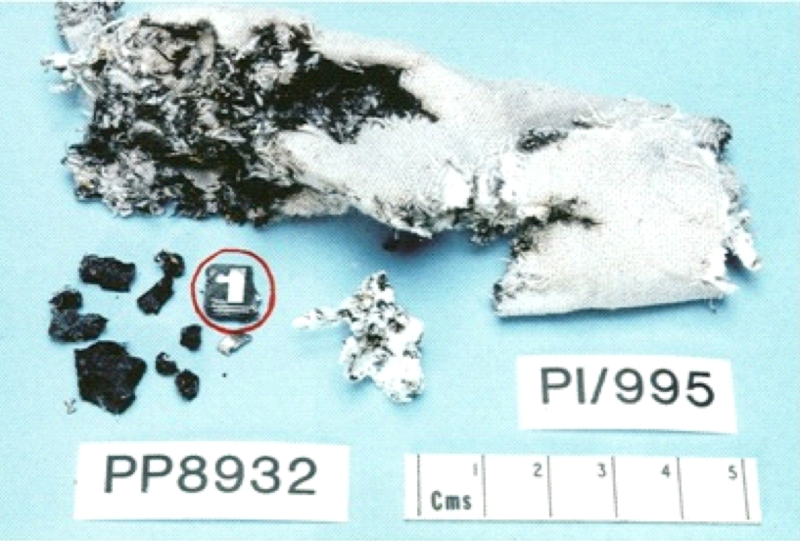 The FBI did not make a forensic comparison with the first, original black carbonized fragment, but with a crucial fake (PT35) fragment (green in colour) brought in June 1990 to Washington, by a Scots Official. The positive result by comparison between the faked fragment (PT35) und the TOGO timer (K-1) was defenetly leading to the indictment of Libya, definitive. 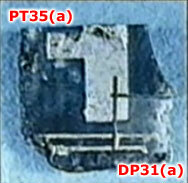 A comparison with the first original fragment PT-35 (see picture, red circle) - opposite the second fragment, under the same mark picture (PT35) would have shown a very different result. Why? 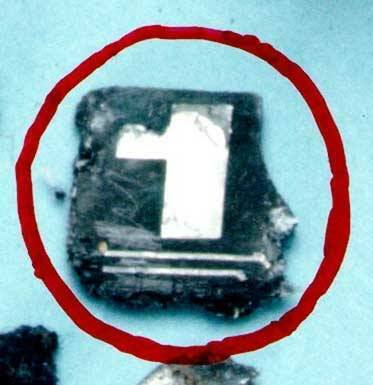 The first original fragment derived from a non-functional MST-13 prototype circuit board, is black carbonized with 3 scratch marks and a letter (M) on it. This kind of prototype was never sold by MEBO to Libya. Therefore Libya could never been indicted with this prototype fragment (PT35)! "The original fragment was always under custody of a Scottish official" > said SIO chief Stuard Henderson, Scottish Police in a interview (Film Lockerbie Revisited). If SIO Chief Henderson statement is correct, then a Scottish official must have been present in Zurich. This would allow checking the exact date and the reason for this secret mission. By Expert Allen Feraday (RARDE) after 15 May 1990, a dublicate of the originale first MST13 timerfragment, also pretend as (PT35) with reference (PT35B) was available for comparison by FBI- Laboratory with the Togo Timer (K-1) by the FBI-Laboratory in Washington on June 1990. Picture Nr.1 The fragment (PT35) circled in red, show the first real MST13 Timerfragment part from a prototyp MST13 Timer, fabricated with 8 layer fiberglass. Engineer Ulrich Lumpert make the 3 Scratch marks and the letter "M" on the fragment around September 1989. Mark: q - two (2) Tracks running paralle were black anodized (eloxiert) > not with silver solder retinned, as the Original fragment PT35, found in Lockerbie! with an MST13 timer (PT35) - Which official lies ? Detective Chief Superintendent Stuart Henderson (Scottish Police) was SIO, at the Lockerbie Incident Control Centre in Scotland. FBI Spezial Agent Richard A. Marquise led the U.S. Task Force which included the FBI Department of Justice and the CIA. He managed all aspects of the investigation. Why did Stuart Henderson and Richard Marquise, in the documentary "Lockerbie Revisited", in an interview with Gideon Levy, have to lie convincingly and insistently - "that the Original MST13 timer fragment (PT35)" was never brought to the USA to be compared at the FBI-lab in Washington? It would not have been a problem at any rate if the two police commissioners had confirmed that the original – [allegedly from RARDE, on January 16th, 1990, discovered in a "slalom shirt", black carbonized fragment (PT35)] - was taken to the FBI laboratory; since the original (PT35) fragment was also brought, out from Scotland, to Germany to the Siemens company, where it had been sawed on April 27, 1990, in two separate parts (PT35/a) and (DP35/a)! 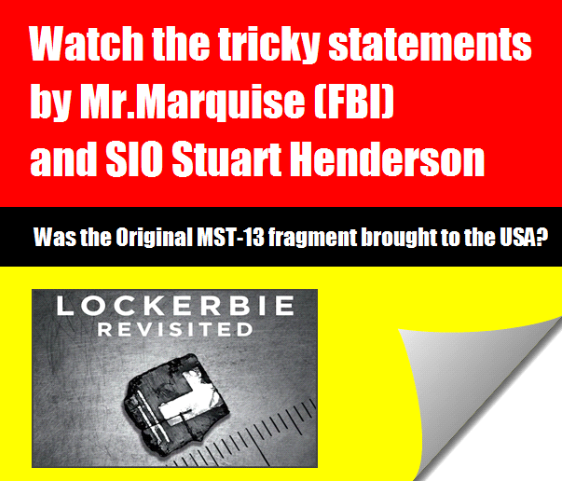 MEBO's theory: With high probability can be assumed that the lies story, where based on the fact that Stuart Henderson, Richard, Marquise and others, knew exactly that in June 1990, a second, manipulated MST13 timer fragment of the same designation (PT35) was brought to the FBI laboratory in Washington, for a forensic comparison with a 'circuit board' - located in the FBI - described as TOGO Timer (K'1). In comparison with the fake fragment, it was possible to blame Libya. 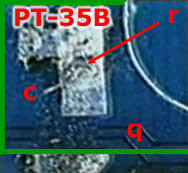 A comparison with the "Original PT-35 fragment" would have shown a completely different result! This tiny piece ofcircuit board was never part of a timer delivered to Libya! The additional text (at the end of the documentary) requested by Richard Marquise, after the first film presentation (as an excuse), is an outrageous disgrace! Gideon – sorry we did not have more time to chat when you where in Washington and frankly, talking at the cemetery was probably not the best thing to do I just want to clarify one thing – per your question to me re PT-35. I cannot recall exactly what I said last summer when we spoke, but I recall I told you I would not lie to you. PT-35 did come to Washington – in the possession of the Scottish police and in the actual position of Allen Feraday in June 1991. 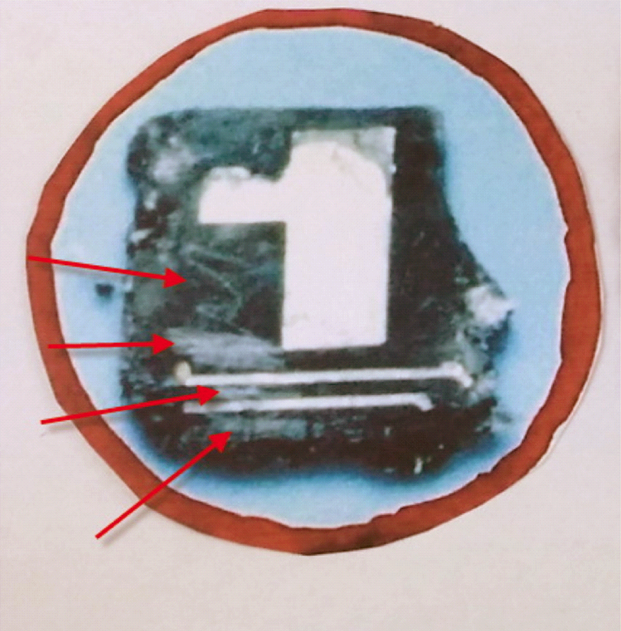 Scientific tests carried out on the most crucial piece of evidence in the case, a fragment of circuit board from a MST13-timing device (PT35) that enabled prosecutors to link Libya to the bombing, suggested strongly that it was a fake! Dr. Whitehurst is a former FBI forensic scientist who went public with concerns about inadequate crime lab practices in the mid-1990s. In 1998, Whitehurst left the FBI and is now co-chair of the National Whistleblowers Center, writes the Marshall Project. In an interview, Dr. Whitehurst expressed that it only makes sense that the FBI analysts gave erroneous testimony about scientific results; many of the analysts he knew during his tenure had no scientific experience or education. "When I was at the FBI, we had people with English degrees, history degrees, doing complex chemical analysis. Our chief chemist didn’t have an undergraduate degree in chemistry. They were not scientists. They weren’t out to hurt anyone ? They believed in their work. After visiting the FBI-laboratory at Washington by Scottish nvestigation group - FBI expert Tom Thurman, said to media, "he made the connection between the MST13 timer fragment (PT35) and Libya". June 12th, 1990, under the direction of SIO Chef Stuart Henderson, und DI William Williamson (Scottish Police) Expert Allen Feraday (RARDE) und Mr. MacLean, visited the FBI Laboratory in Washington. They brought a second, fake MST-13 Timer (PT35) fragment, for an important forensic comparison with the 'Circuit Board' from a so called Togo-Timer MST13timer marked as (K-1). For the fabrication of this Timerfragment (green coloured with solder mask on both sides, the same Thüring material was used as delivered to Libya. Of COURSE - with it - the comparison showed positive results. Only with this staged evidence scam, it was possible to connect Libya, with the bombing on Pan Am 103, over Lockerbie! As a reminder: the first fake fragment (PT35) black carbonized, was in June 1990, already divided into two sections. Libya and Abdelbaset Al Megrahi have nothing to do with the bombing on PanAm 103, over Lockerbie!! Only with this fake MST13 timer fragment proof could Libya and Abdelbaset Al Megrahi be entangled with the bombing on PanAm 103 !!! Mark: q - There was no two (2) Solder tracks on the MST 13 Timer/circuit boards, were delivered to Libya, only Copper > the two (2)Tracks was sealed and overprinted with Eloxal material on it > not with silver solder retinned as the Original fragment PT35, found in Lockerbie! It is important news that you are attending the WEF in Davos/Switzerland. My company MEBO Ltd. and I Edwin Bollier are involved in the tragic Lockerbie air desaster (PanAm 103 crash). An allegedly found Timerfragment (MST-13) was a key piece of evidence and responsible for the court verdict against Libya and Mr. Abdelbaset al-Megrahi. 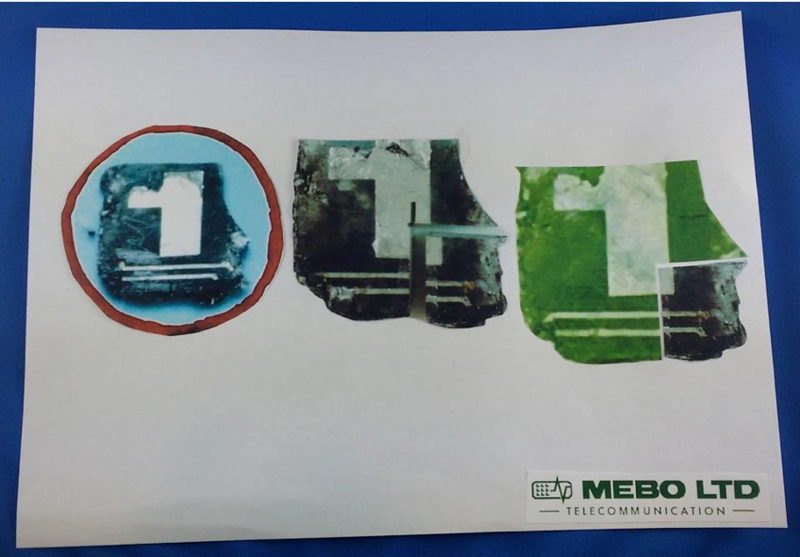 MEBO manufactured and sold such timers, but the fragment they found was a nonfunctional prototype. A tremendous fraud of evidence occured. Forensic Institutes allegedly never carried out tests in order to find traces of explosivs on the fragment. The SCCRC (Scottish Criminal Cases Review Commission) found six grounds on which it believed a miscarriage of justice may have occurred. An application for a new appeal has been filed by the Megrahi family. We hope that the Scottish authorities will accept the appeal and not delay the case. Scottish Police „Operation Sandwood" will deliver an investigation report in February 2018. It could lead to indictments against members of the Police or Forensic experts. Libya had nothing to do with the bombing. Dear Mr. President, you are empowered to open the doors of truth and justice. It would be great if you could allow me to show you in only few minutes – in Switzerland - how a fake fragment was responsible for a historical miscarriage of justice. Best regards and have a nice and successful time in Switzerland.